'Dream It On Through': Dolly Parton On Her New Album, Inspiring Young People And More The country legend talks about creating the soundtrack to Dumplin', the new Netflix film starring Jennifer Aniston that's inspired by her music. Dolly Parton's Dumplin' soundtrack is all about finding the confidence to be yourself. "You star in your own role. You be the star of your own life," Parton says. The new Netflix comedy Dumplin' is all about Dolly Parton. But she's not in it. And that was deliberate. 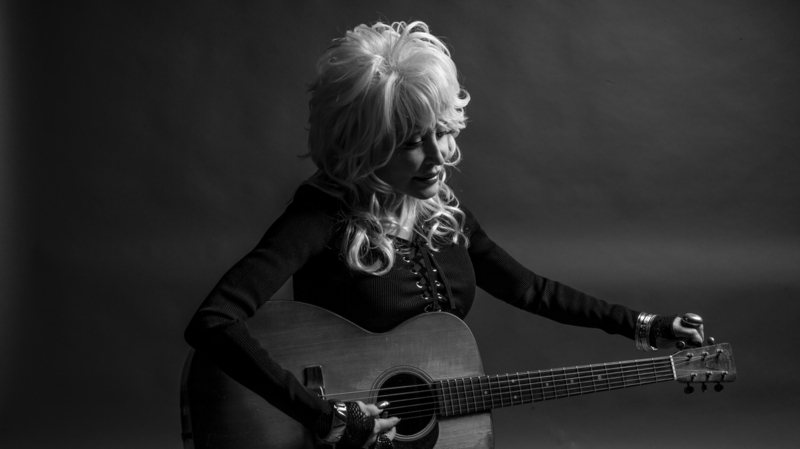 Instead, Dolly did what Dolly does best — write and sing songs for the movie. The film follows a young girl, Willowdean (Danielle Macdonald), who lacks confidence, but after being inspired by Parton's music, participates in a beauty pageant in Clover City, Tx., despite her mom's objections. That mom is played by Jennifer Aniston, who also co-produced the film and helped get Parton on board. The soundtrack for Dumplin' features five new songs, co-written by Parton with hitmaker and 4 Non Blondes frontwoman Linda Perry and re-recordings of some of Parton's classics. The album boasts guest performances by Miranda Lambert, Sia, Mavis Staples and more. Parton saw the film with Linda Perry before writing any of the music and immediately felt a connection to Willowdean. She says she wrote the song "Girl in the Movies" for Willowdean and every little girl and boy as a reminder: "Don't just live in a fantasy of watching someone else live their lives. You star in your own role. You be the star of your own life." "You never going to know if you don't get out there and try," Parton says. "Everyone should try to find out who they are and really work that out and then be willing to stand by that and just be willing to sacrifice, stand up for it fight for it and just dream it on through." Dumplin' and Dumplin' (Original Motion Picture Soundtrack) are both out now. Parton spoke with NPR's Lulu-Garcia Navarro about songwriting, her own acting career and more. Hear their full conversation at the audio link.